Lavender Pillar Candle, 3 inch by 9 inch, Unscented, Hand Poured, and colored through out, burns for approximately 120-160 hours. 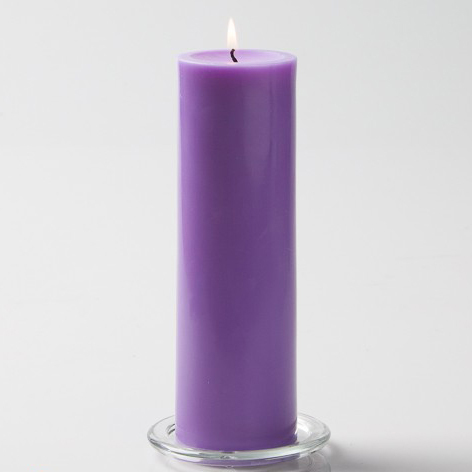 This is a classic, smooth sided pillar candle. It measures 2-7/8 inches in diameter and is 9 inches high. Individually hand-poured, never a cheap color over-dipped candle. Perfect for wedding candles, restaurant candles, for reception table or any event.